We’re in Australia’s worst drought in living memory. Currently 98% of New South Wales and almost two-thirds of Queensland is in drought or drought-affected areas, with farmers in parts of Victoria, South Australia and Western Australia also experiencing hardship. Our once-green pastures have now turned to barren wastelands. The cost of freight and feed is skyrocketing. Livestock are dying. Everywhere on the news it’s the same: our Aussie farmers are facing the heartbreaking reality that they could lose everything. Their families, their crops, their livestock, and their environments are suffering and they face an uncertain future. By supporting the Landcare Drought Relief Appeal you can help Landcare groups in drought-affected New South Wales and Queensland who are caring for farmers that are doing it tough. There are many Landcare groups getting their hands dirty and supporting farmers during this intense drought. These groups are supporting farmers in ways that ensure the sustainability of their farms, such as educating them about supplementary feeding and providing feral animal control programs. You can help care for those that care for our land. Donate to the Landcare Drought Relief Appeal. We need to raise at least $100,000. Your gift will be used towards financial assistance grants for Landcare groups who are supporting farmers in their time of need. Below are a couple of stories about farmers and Landcare groups in need. Karen Zirkler is a farmer and executive officer of Southern New England Landcare. Farmers in the region are amidst the toughest drought ever recorded. Once rolling with green pastures, the area is now brown and dry. The majority of Landcare groups in the Southern New England region are made up of farmers. These groups have been integral to caring for the area, creating wildlife corridors, protecting native vegetation, and controlling weed and feral animals. Now it’s all about survival. “The drought has affected this area pretty badly. At the moment we are desperate for feed for our livestock. But soon it will be water. If we don’t get any spring or summer rainfall, we will be having water problems for livestock by April next year,” Karen said. Sustaining livestock isn’t the only problem these farmers face. The drought is also taking an enormous emotional toll on them. It’s during times like these that Landcare groups have a crucial part to play. However, as the drought takes its toll on finances, there are no funds left for Landcare groups to be able to provide this much-needed support. Care for those who care for our land. 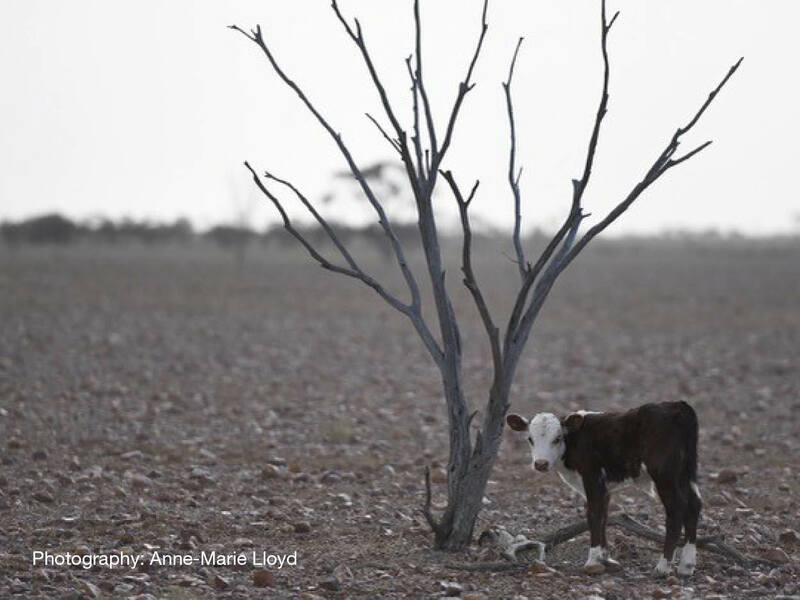 Donate to the Landcare Drought Relief Appeal. By supporting the Landcare Drought Relief Appeal, you are enabling Landcare groups, like Southern New England Landcare to give their local farmers much-needed support during the drought. Please donate today. Geoff Elliott is a farmer and chair of the Inglewood & Texas Landcare Association. He and his fellow group members have been facing drought for many years. But this year it’s the most intense they’ve experienced. “The drought just keeps going and it’s really taking its toll on the farmers, the local community, and the livestock. I honestly don’t know what the future holds, but all the forecasters are predicting it’s not looking good in the immediate future,” Geoff said. Inglewood, and its surrounding areas, specialises in sheep and cattle farming. All the Landcare groups in the local area are made up of farmers. The groups are pivotal to communities like Inglewood. They create opportunities for individuals to come together and provide one another with much-needed support, whether it be advice on supplementary feeding, sharing ideas or just being there to lend a sympathetic ear. But now these groups are under enormous stress because of the drought and declining financial resources. 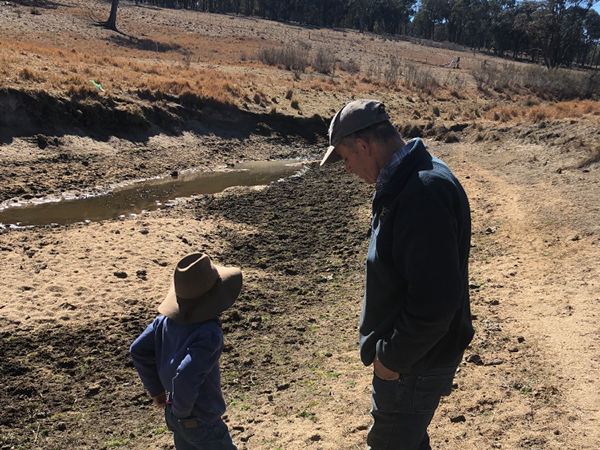 A lack of funding means a limit to the number of projects local Landcare groups can undertake – projects which are integral to the sustainability of drought-affected farms, like Geoff’s. Whilst farmers in the area are in desperate need for feed, their biggest threat is feral animals attacking their livestock, in particular wild pigs and dogs. The dryness caused by the drought forces these predators to look for water and alternative food sources. Native animals and livestock that rely on the water supplies are being attacked and killed. The number one victims: lambs. With no money coming in, local farmers are struggling to pay for feral animal control and they face the stark reality of losing everything. These farmers need a solution that brings long-term impact. Inglewood & Texas Landcare Association needs $20,000 to help farmers in the area stop feral animals from killing their livestock. Keeping livestock alive is integral to these farmers maintaining an income source for the future. By supporting the Landcare Drought Relief Appeal, you are enabling Landcare groups, like Inglewood & Texas Landcare Association, to give their local farmers much-needed support during the drought. Please donate today.